Conservatives Of The Upstate: The Government Killing Competition? This is in reference to a recent Eric Holder; U.S. Attorney General led case against Apple Computer and most every publishing company for price fixing on their iBooks ebook store. The real irony is that before Apple entered the market, Amazon dominated with it's Kindle ebook store because they had no competition. Apple entered the market with higher prices and Amazon responded with higher prices as well. 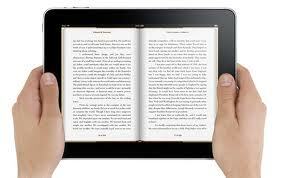 The twist … Amazon had been losing a few dollars on 1000's of ebooks for months ~ just so no one small could compete.